Lately, I've been feeling a little like Miss Goldilocks when she was deciding which chair to sit on. In my case, it's not the chair but the handbag dilemma that I'm facing. It's a case of too big, too small, too expensive, too badly made, too fragile and so on and so on. Poor Sue of Susie So So came with me on a handbag expedition shopping trip a couple of times. After seeing me practically eyeballing and dissecting each designer bag, I doubt she'd ever contemplate shopping with me again. I'm a little OCD (Obsessive Compulsive Disorder) when it comes to bags. Are the stitches tight? Are the threads thick enough? What's the lining and workmanship like? Are the edges smooth? I tend to go for larger bags, ones that fit my entire flat and pets (if I have any). 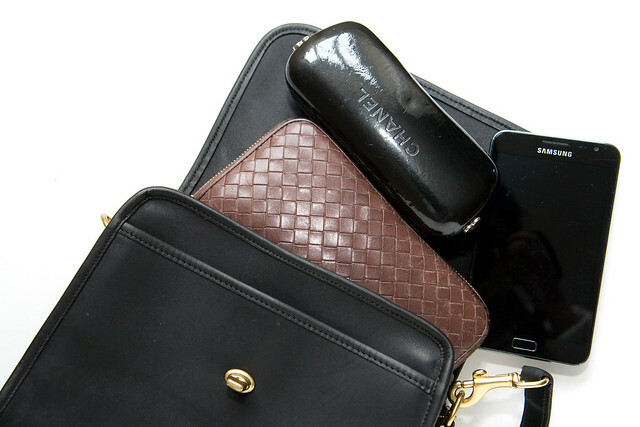 But I also swing the other extreme where I like teeny tiny bags that fit practically nothing (Chanel W.O.C). What I don't have is something in between. I've been looking for a bag just big enough to schlep around but not too precious that I'll have to worry about every dirt or scratch mark. 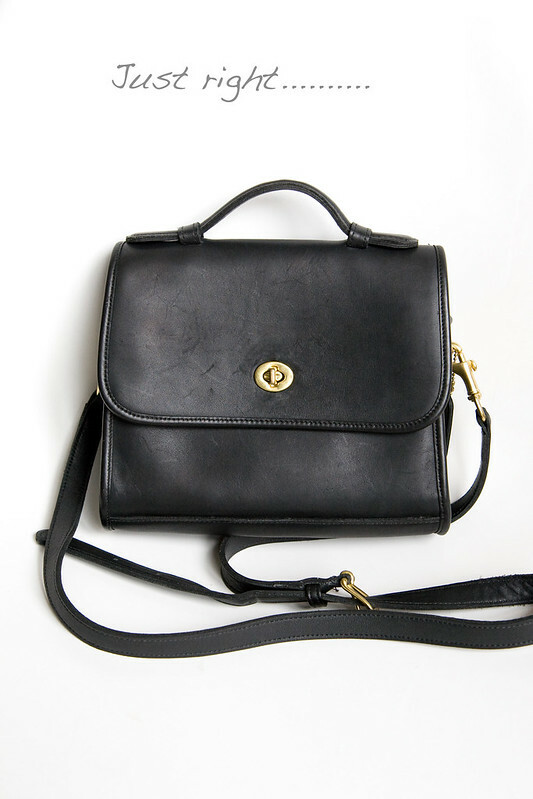 Enter the vintage Coach Court bag, thanks to Jean of Extra Petite who did an excellent review about the bag sometime back in February this year. I did a frantic search on eBay and found one for a mere USD 39.95. Shipping and duty tax cost me more than the bag itself but all up, it was approximately £58 for a near new vintage Coach bag. I got my local cobbler to punch a few more holes on the strap. My giant wallet (I fed it steroids) along with my over-sized Samsung Galaxy Note (also on steroids) fit into the bag with room to spare. I can also comfortably plonk my sunglasses case in too. The leather is thick and luscious but still hasn't been used enough to achieve a nice patina yet. The hubby and Lil L along with a couple of other friends raved about the bag each time they see me with it. The latter has taken to modeling with the bag in front of the mirror at every opportunity. It's interesting to note that my Chanel W.O.C barely got any acknowledgement. I have the Willis bag (based on this bag if I'm not wrong) and I just love it. That's a nice red WOC! I am waiting forever, a red one to appear in my local boutique. There are quite a few in London. It's the black caviar that's rare. I've seen the one in suede caviar. Blech. Not a fan of that leather at all. I've seen a few black caviar in my local boutique, but did not get them since I already have a black calf WOC. hmm, maybe we need switch where we stay. Anyway, I caved in, and bought the current season gold embossed goat WOC. real stunning piece! Hi! I love, love vintage Coach. The smell...the leather...the workmanship...(and the nostalgia of my, ahem, younger days). Great find! Nice looking bag. I started to get interested in vintage Coach bags after seeing Liberty London Girl pictured with on on her blog. Had a look on some US websites and this style seems to be going for about £60 with postage running at almost £20. I like the fact that it has the pocket at the back. I love the simplicity of that bag - I haven't bought one in years because I'm so picky (and broke). Perfect! I love the top handle - a great price too! What can I say - it was an enlightening experience and I will never look at a handbag in the same way ever again! All three bags are lovely in their own right but the only one I would feel comfortable with is the Coach - I'm a cram it in and chuck it around kind of girl. It's hard trying to find that balance. At the moment, I have what I would consider a medium size bag (PS11), along with a WOC (Phillip Lim silk bag), but nothing large as I got rid of my AW emile due to the ridiculous weight of it. Anyway, I love your 'new' bag - timeless, chic, and for a good price too! The medium PS1 is such a practical bag and it really does jazz up a simple outfit. Lucky you! Can I ask what that is on the CC on your WOC? Is that just something with the photos or are the new ones coming like that? It's the blue plastic thingy that I haven't removed from the hardware. After searching the world for the WOC, I've yet to take it out for a spin. Shame on me! Reminds me of the three bears and their porridge. And the last one was just right... It's always such a challenge isn't it, finding the perfect sized bag with the right handles/straps and of course, the right weight. I really struggle with hand bags. Getting everything to come together feels like asking someone to suddenly be taller. Impossible. But then a little gem comes a long. I love the one you found and what a great price! Thanks for sharing. You have me eyeing one off. Such a great find your Coach bag and for such an amazing price also! Enjoy her in good health! The vintage coach bags are amazing. Such durable leather. My mom has a beautiful burgundy court bag that I've been meaning to unearth. The color is so rich. And they age so well. Your WOC is lovely. I find that they are so useful, for running out for a quick tea or errands at work. Love the coach bag, what a great steal on Ebay, you find some amazing deals! 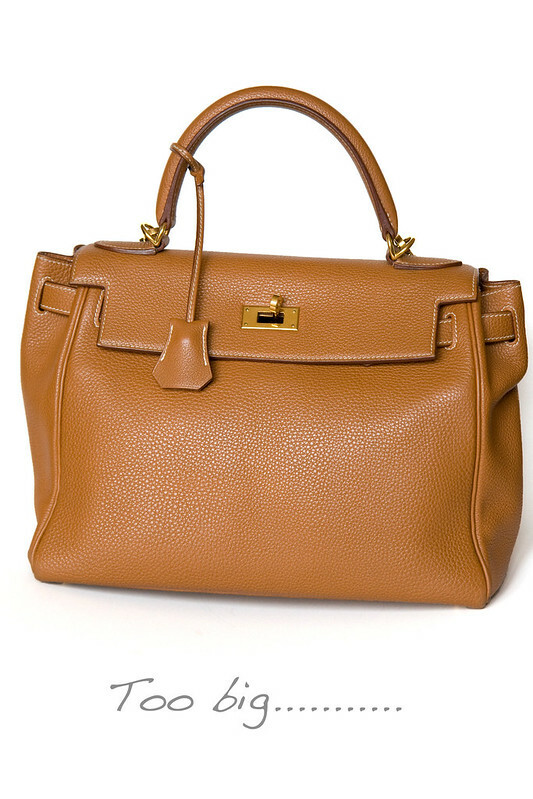 Congrats on finding the ideal bag...I can see you have been using this one very often from your pics.